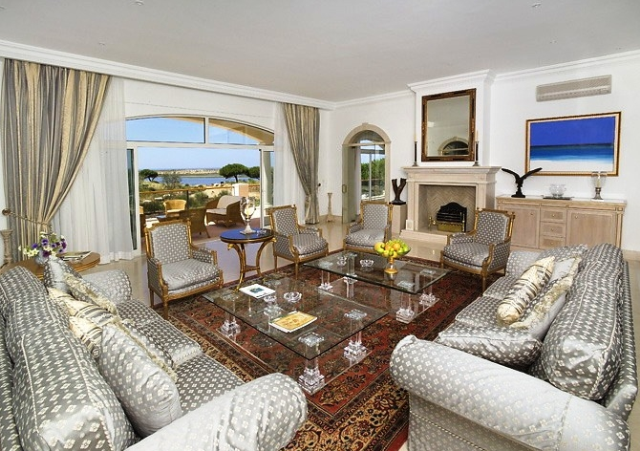 This magnificent 6 bedroom villa is in an outstanding location with beautiful views to the Ria Formosa and the ocean. 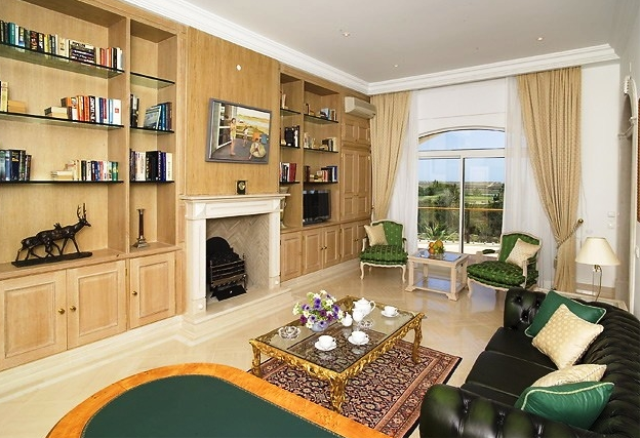 The property has been furnished throughout to a very high standard. 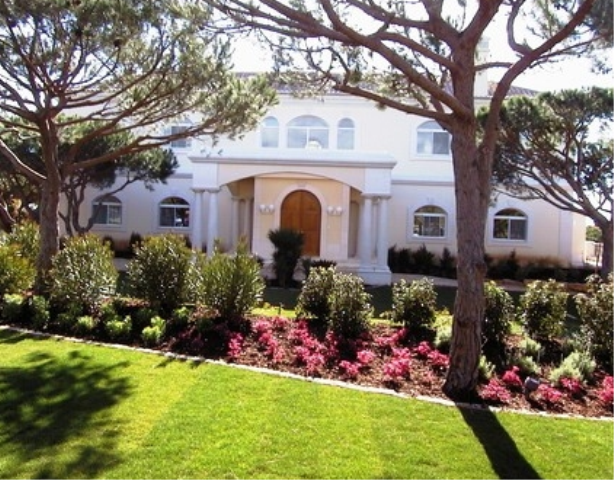 It is only a few minutes' walk from the Quinta do Lago beach and water sports. The local restaurants, bars and shopping plaza are only minutes away (by car). The views are incomparable as the villa faces the ocean and the golf course and guests can hire electrical cycles to enjoy the coast path to Faro Island. 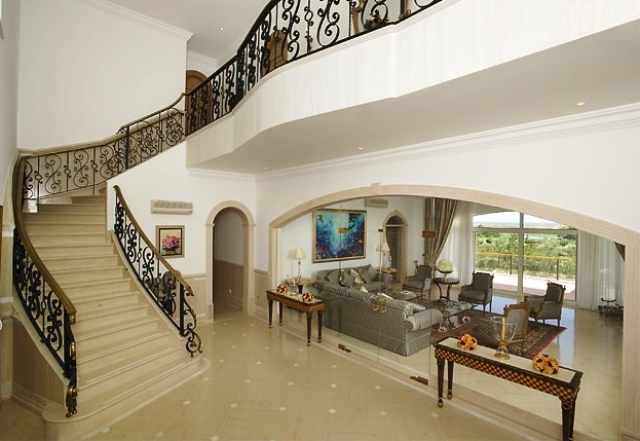 The property is on three levels and can comfortably accommodate 12 guests. An interior elevator is provided on addition to the staircases. Air conditioning throughout and pool heating (supplement payable if required). On the ground floor is a large entrance hall with cloakroom, a spacious sitting room leads out to the extensive terraces and pool area, a formal dining room and a large fully fitted kitchen with breakfast room. Television Lounge with cable TV. Two bedrooms, one double with adjacent bathroom and one twin, with en suite bathroom. 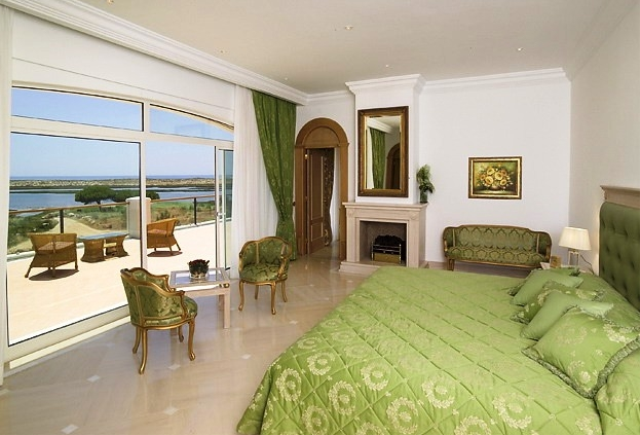 On the first floor is the extensive master bedroom suite, with bathroom, shower room, dressing room, TV and large terrace overlooking the Ria Formosa to the ocean. Two double bedrooms each with en suite bathroom and both leading out to balconies. On the lower ground floor is the Games Room, with snooker table. Gym and Sauna (for Sauna supplement £100/week payable if required), cinema room. And a twin bedroom, suitable for teenagers or staff, with en suite shower room. The Villa offers beautiful large terraces, private pool, Gas BBQ and landscaped gardens.